The inner top has 11 rows (really 9 but the end rows have a corner triangle to attach so I’m counting 11). I’ve already pieced couples together so now I’ve got 6 pieces. down to 1 inner top. I was able to get some work done on Raining Cats and Dogs! Progress is progress. Every little bit counts! Progress is good, even if it isn’t exciting. I think rotating the projects is probably your best plan. Love your little puppy sketch! 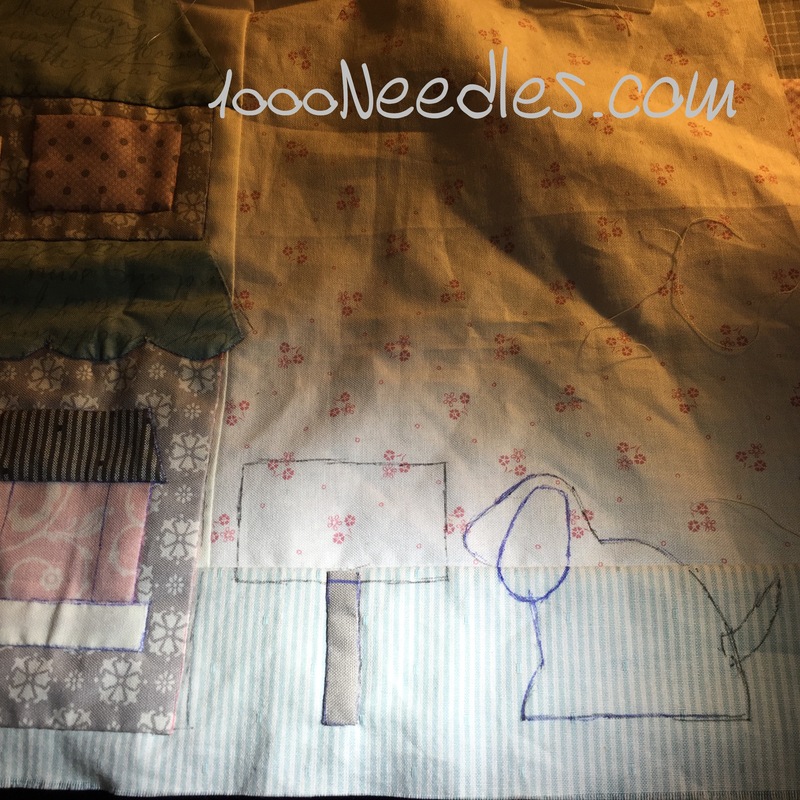 I get that way about piecing too…..can’t spend too long at the sewing machine! Yep, yep, yep! When you’re working huge, highly-involved projects like those, it’s always nice to have a rotation of things to work on so you don’t get bogged down with boredom on them. Raining Cats and Dogs is a real cute one to have going on the side! I hate trying to work on a project I’m bored with! But sometimes I just power through to get it done so I can move on to something else. I’m not very good at having multiple projects at once – it stresses me out! 🙂 I love that blue quilt in your Instagram feed, it’s absolutely gorgeous! Thanks for linking up to MCM!